클럽 옥타곤에서 금요일부터 일요일까지 진행되는 공식 에프터 파티! The Electronic Festival lives in the hearts of people all around the world! 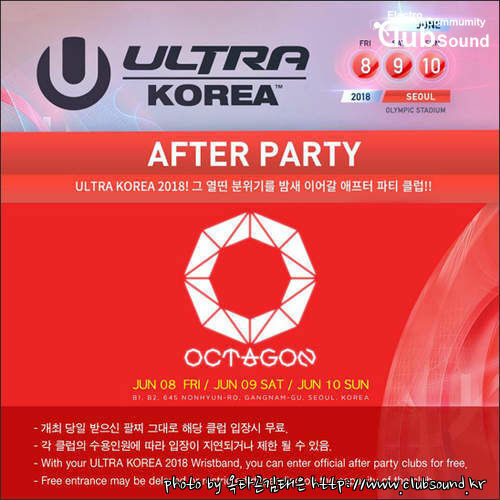 From Fri to Sun, ULTRA KOREA 2018 Official After Party is going down !